Are you looking for popular promotional items that your customers will love? We have partnered with some of our top vendors to gather a list of the best customizable tech items. When you consider investing in promotional give-away items, you want things that your customers and prospects will be excited to keep. You want to find items that they will actually use time and again. 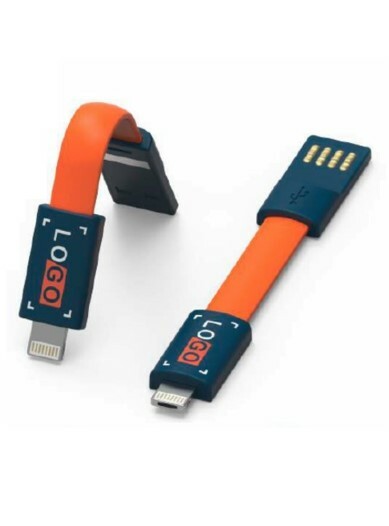 Right now, tech accessories are all of the rage when it comes to promotional swag. Customers love them and it allows companies of all sizes to expand their brand reach! Expand your brand reach with this stand-out promotional item. This keyring charging cable is not only innovative, but is something your customers will actually use! 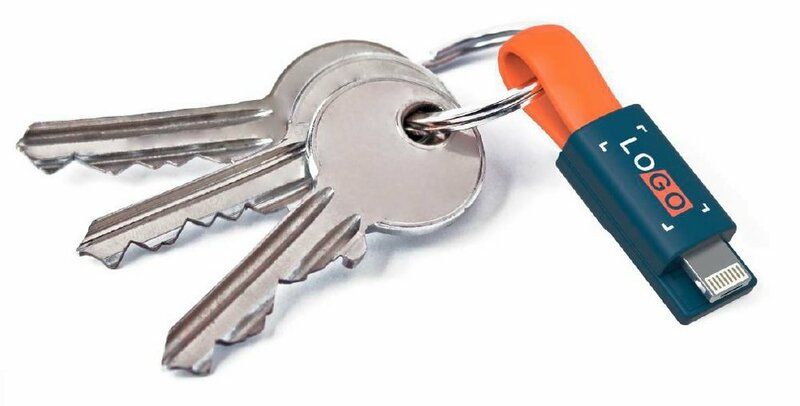 When you take the keyring apart, the USB end easily connects to any power source: a computer, vehicle, external power bank and more. The smaller end plugs into your mobile device. This handy promotional item can be ordered with your choice of iPhone, Android or universal compatibility. The newest trend in smartphone technology has shaken up how we use our devices. The removal of the headphone jack from most new smartphone devices has made the traditional set of earbuds obsolete. It is also frustrating to keep your headphones plugged in when you are on the go. 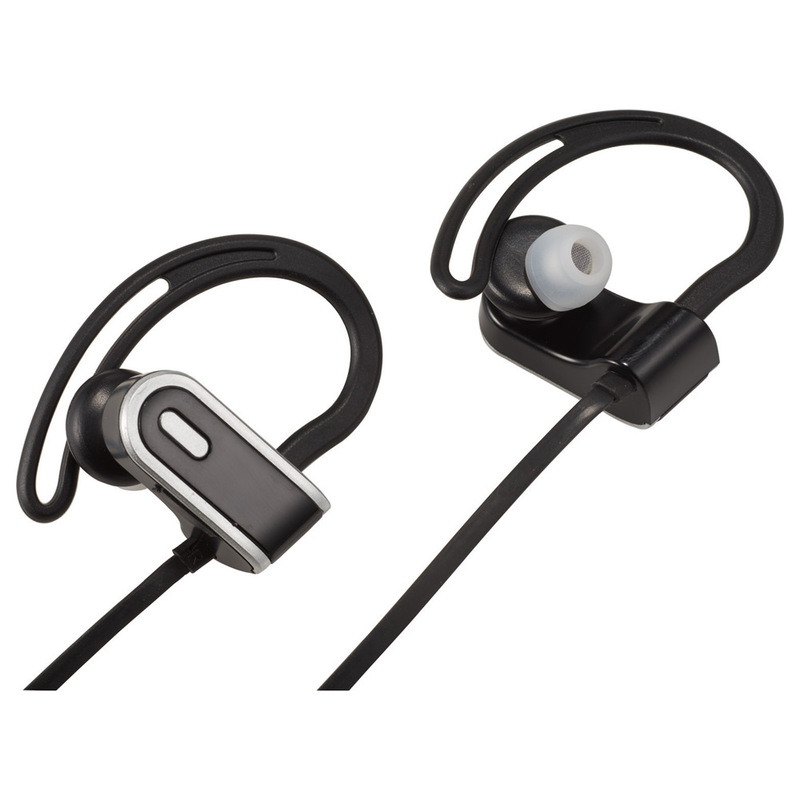 Now is the best time to get your brand logo on an item that your customers and prospects are dying to get more of: Bluetooth headphones. These metallic charging cables are fun and functional for promotional give-aways. Their multiple uses make them appealing to customers of all ages and demographics. 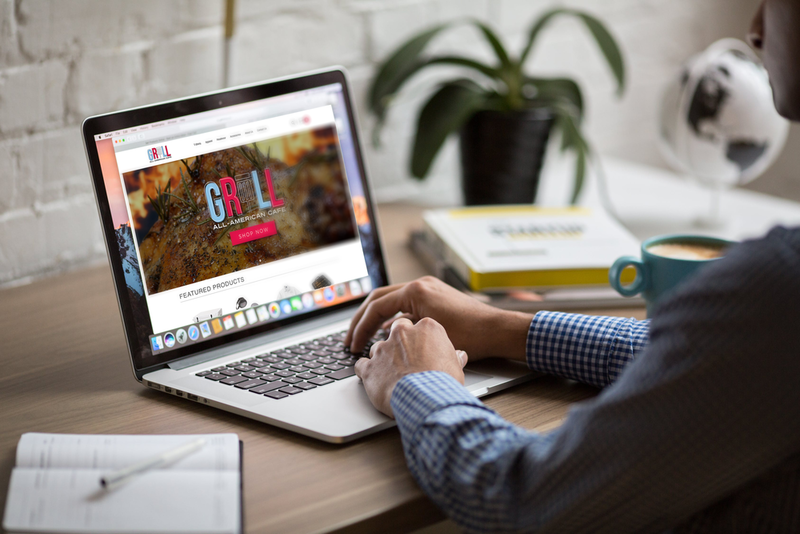 By adding your company logo to such a handy item, you will expand your brand's reach every time your customers and prospects plug-in their mobile device. 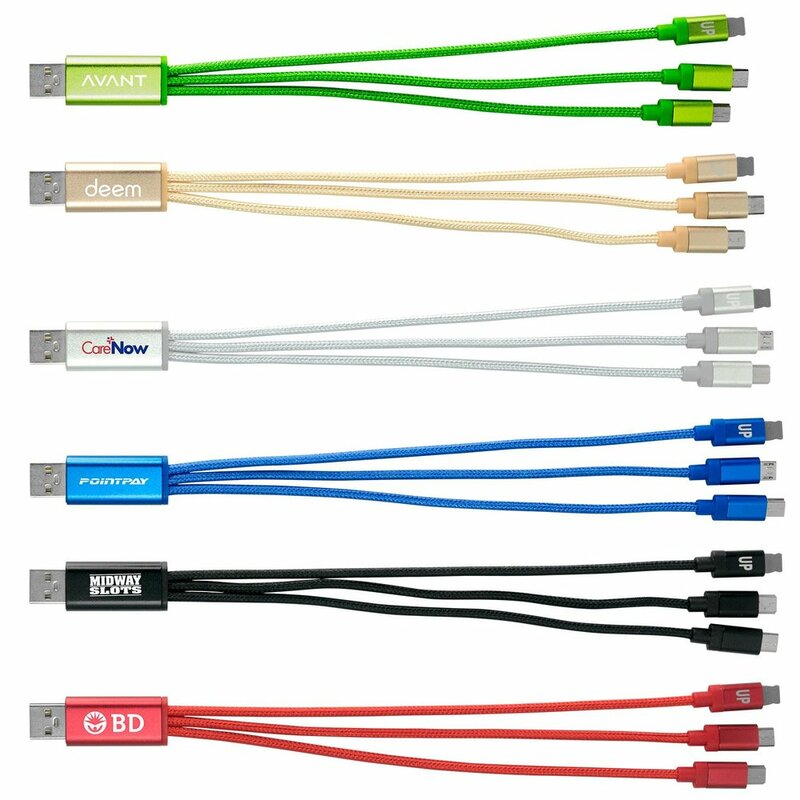 These 3 in 1 charging cables are great for trade shows, client gifts or promotional give-aways. 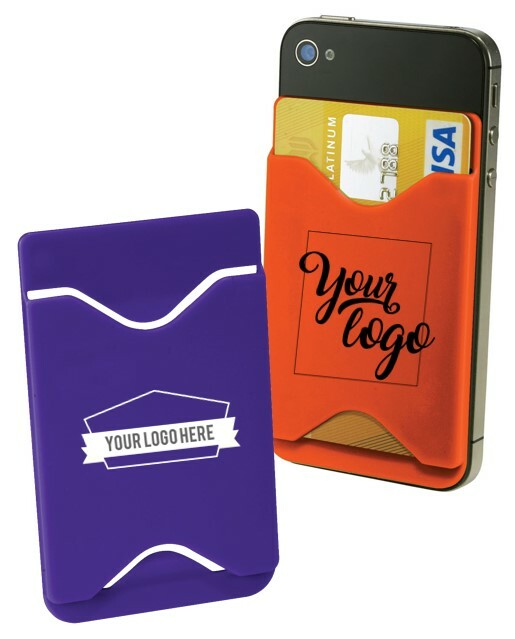 Card holders continue to be the most popular trend in custom promotional items. These are a favorite among both men and women as they are convenient and useful. Imagine your company logo on the back of your customers' and prospects' most used device. This is an excellent choice for expanding your brand reach! The newest, top-selling trend in promotional items is Pop Sockets. These small devices stick to the back of any smartphone or smartphone case. They "pop" out to make it easier to hold on to the device and "pop" back in when the device is not in use. This innovative new tool is sweeping the market in promotional give-aways. Put your logo on some today! If you are interested in ordering any of these items or would like to learn more about custom tech accessories, please Contact Us!